Why don’t you try some attitude? Why don’t you try asking him out? Why don’t you take off your heavy coat and go out? Why don’t you try falling in love? Why don’t you grow up a little and forget it? 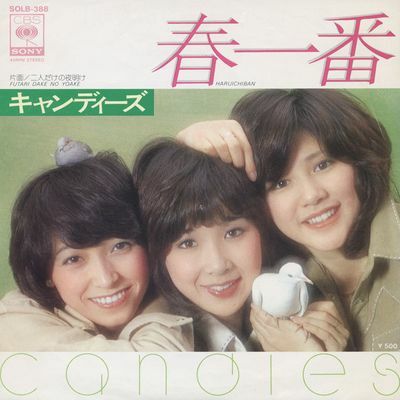 Ninth single release by the Candies, released on March 1, 1976. This was the group's trademark song. It peaked at #3 on the Oricon charts, and sold over 360,000 copies !